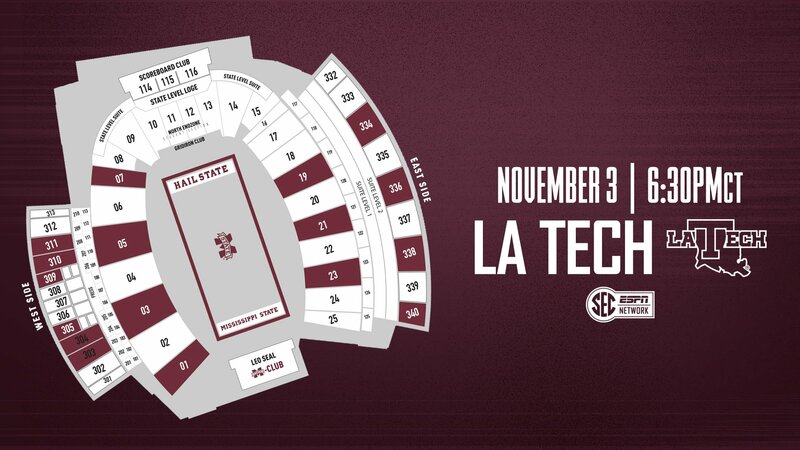 are back in Mississippi’s College Town, and we are proud to welcome our family from the Bulldog Nation back home — along with a few of our friends from Ruston as well! 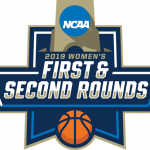 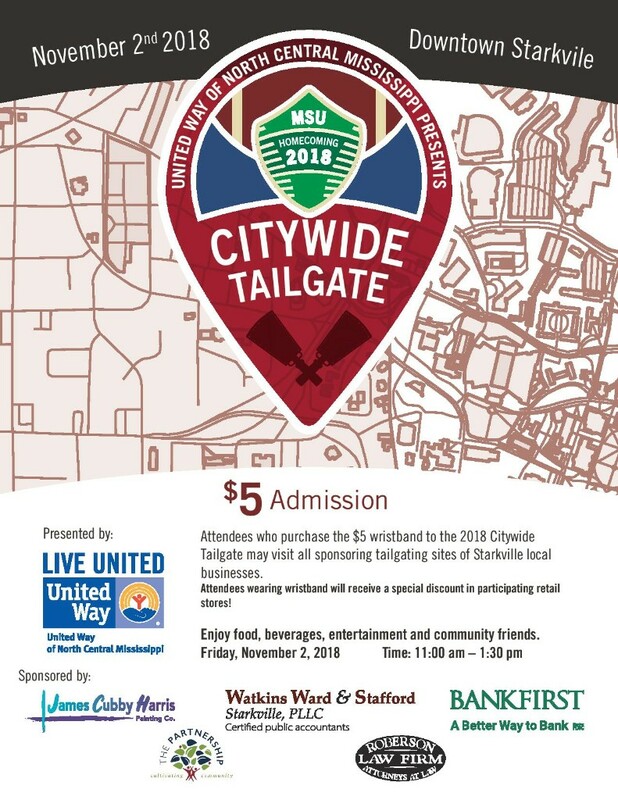 We have a lot in store this weekend, so read on to see what’s happening, including great resources for shopping and dining. 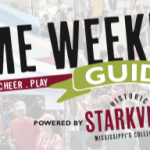 Be sure to check out our online GAME WEEKEND GUIDE for more information and helpful links for your best game day yet… HAIL STATE! 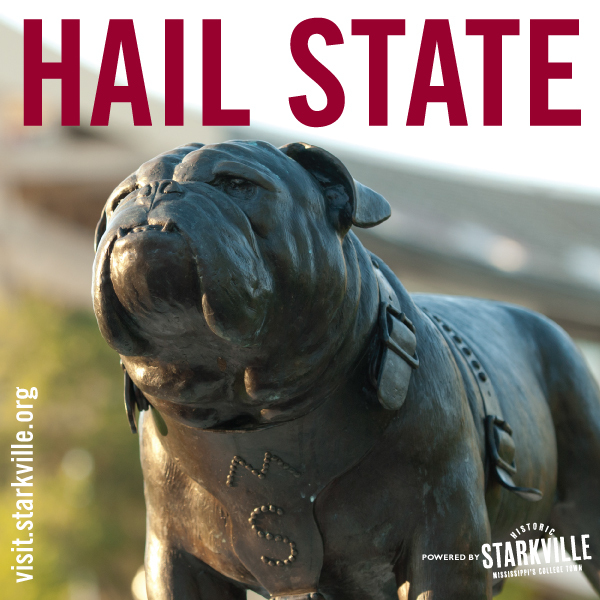 For the full schedule of #HailState gameday events, visit the MSU GAMEDAY WEBSITE! 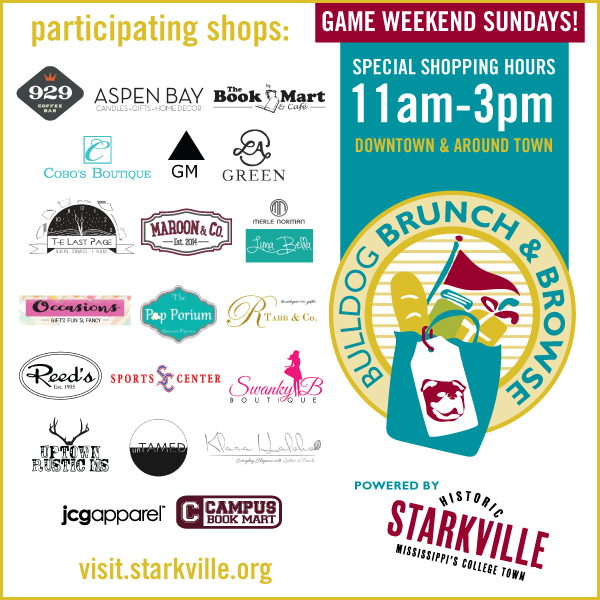 There’s plenty of time this weekend to visit your favorite Starkville shops & boutiques to find tailgating supplies and the latest styles for Saturday’s MAROON & WHITE game! 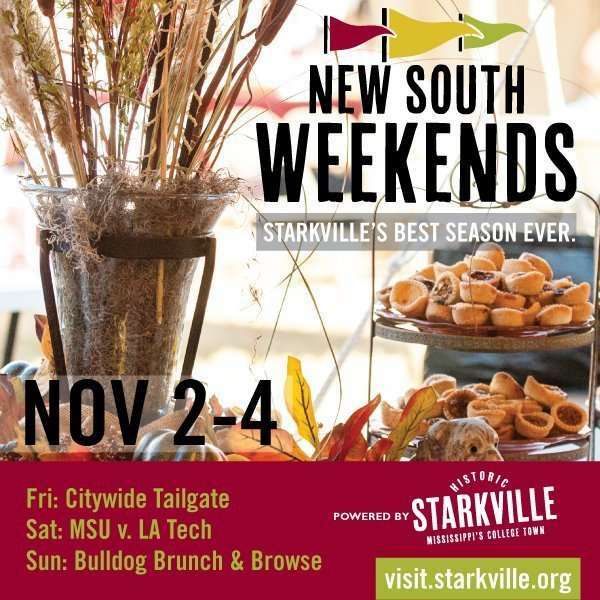 Thanks to L.A. Green in downtown Starkville for giving us a peek at some of their gameday fashions. 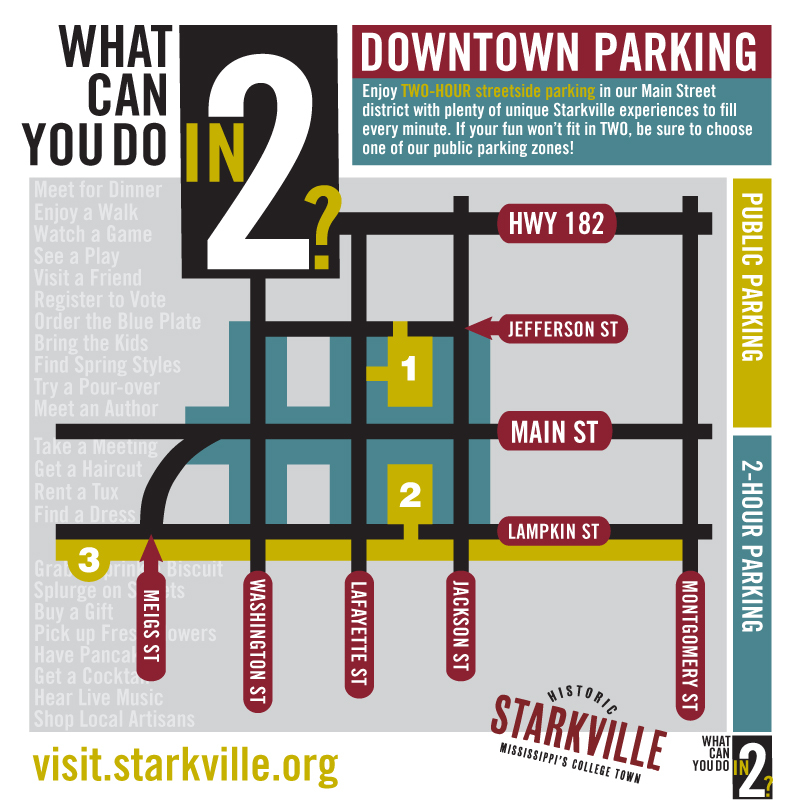 Free public parking lots are available in Downtown Starkville in public lots off Jefferson and Lampkin streets, as well as street-side on Lampkin (shown in gold on map below). 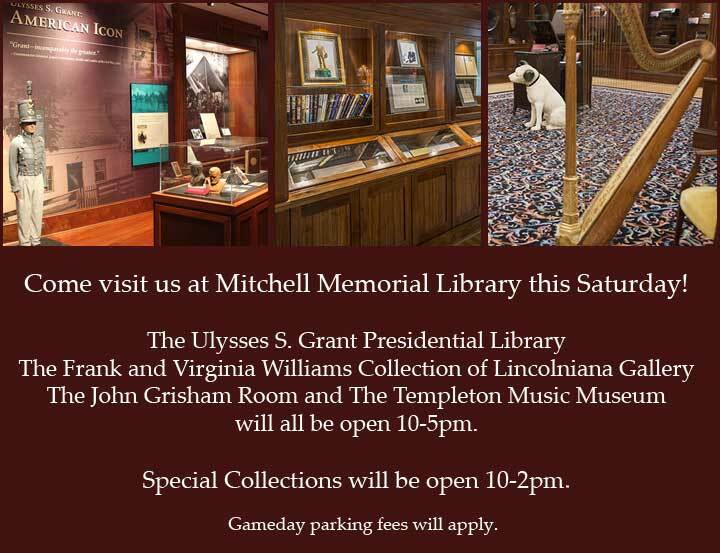 These allow great opportunities to explore. 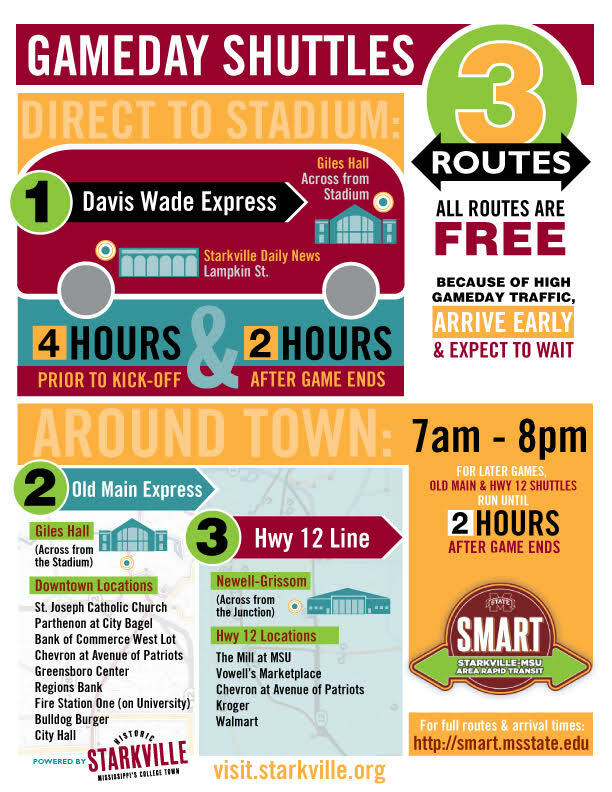 Two-hour parking is also available street-side in the blue designated areas below.